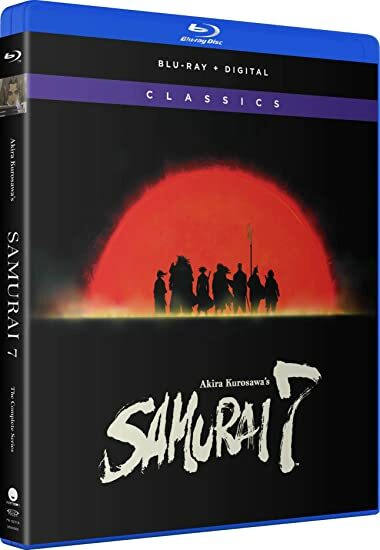 Samurai 7: The Complete Series - BUY THIS BLU-RAY! Set in a futuristic world that has just witnessed the end of a massive war, scores of villages are terrorized by Nobuseri bandits. But the Nobuseri are no normal bandits. They were once Samurai, who during the war integrated their living cells with machines to become dangerous weapons now appearing more machine than man. Absolute power corrupts, and their reign of terror is increasing its hold on the countryside. But one group of villagers has had enough, deciding to hire samurai to protect their village. Kirara is a young priestess who travels to the city seeking out protection. One by one, she encounters brave samurai that the war has left behind. These men of skill and valor are each unique and not without their quirks. But can they come together as one to defend the helpless village? THEN SEND IN A COMMENT ABOUT YOUR FAVORITE FUNIMATION TITLE (you may click on artwork above for a refresher) PLUS YOUR NAME AND ADDRESS TO contests@efilmcritic.com or WeLoveHBS@aol.com. (Just one e-mail please.) Put [b]"AND IN THIS CORNER ASSASSINS 12" in the subject line and cross your fingers. We will draw names and one of the prizes could be yours. Only 1 entry per household.